We want to connect with our community, have fun, and share some amazing food together. 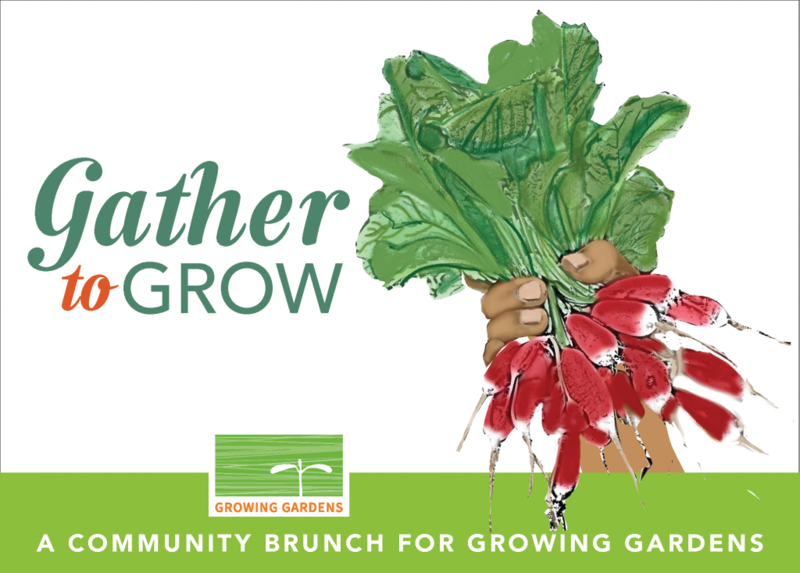 This spring we will be hosting our inaugural mission-centered fundraising brunch to bring together community, celebrate local food, and support food justice! Come and join us to celebrate our work together! Individual tickets are on sale HERE! Want to be an event sponsor, table host, or special appeal match? Learn more about that HERE! Interested in becoming a volunteer for the event? 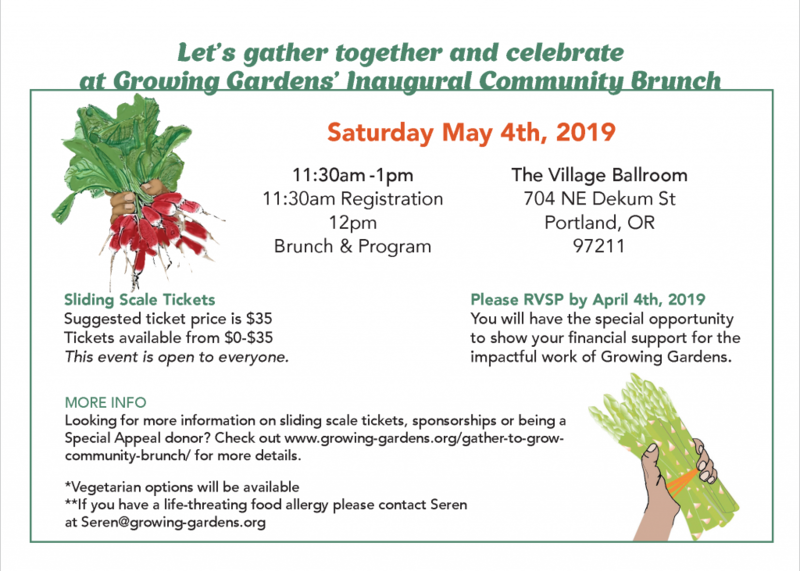 Email seren@growing-gardens.org to learn about positions and to sign up!